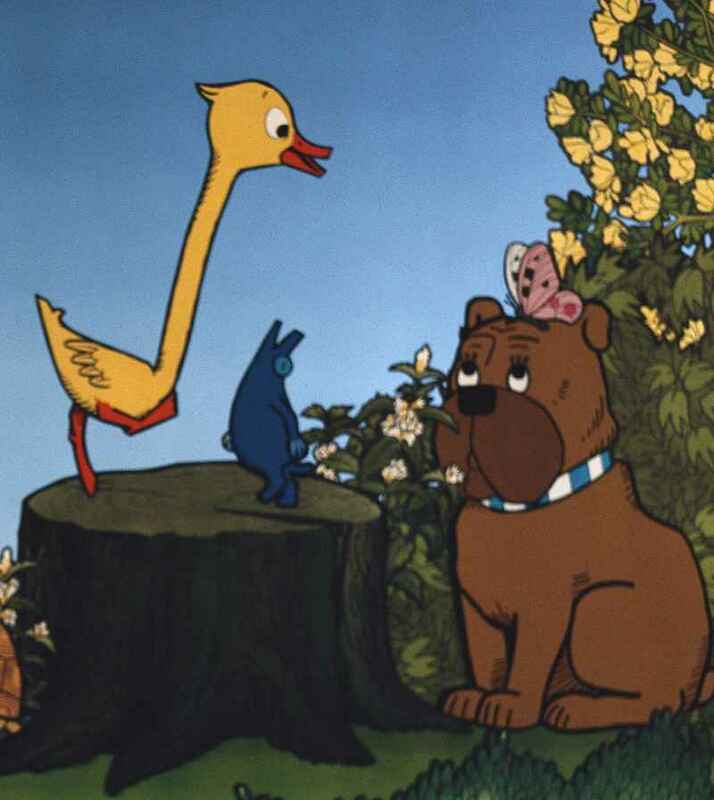 Gédéon was born on a farm, where everyone rejects him because of his long neck, so he decides to run away. He spends his first night in the countryside. But he notices that there, just like on the farm, everyone still makes fun of him. Gédéon digs in his heels and fights back: he punishes a rabbit, a magpie, a vicious dog and he helps some tiny mice using his long neck that he now accepts. Further on in the series, he lives in a beautiful red kenneI and makes many more friends: Sosthene the rabbit, Grognard the circus dog, Mimolette the mouse and many others who he helps, protecting them from Gibassier, the wicked poacher, and the nasty animals of the countryside. Gédéon is my first film. Before that, I did several experiments. I also won a script-writing contest: 45 seconds to warn of the dangers of cardiovascular diseases. This actually was my first film, but it was only 45 seconds long. The man behind this contest was a daring producer who trusted me. His name was Yves Rousset-Rouard ; he had produced many successful films, including "Emmanuelle", the money of which made it possible to shoot Gédéon. Yves Rousset-Rouard was very interested in animated films and wanted to produce some. He suggested that I direct a TV series based on the work of Benjamin Rabier. He set up an animation studio from scratch in Neuilly-sur-Seine. Everything was in place for a seamless operation. It did not turn out well. The animators, acting on poor advice, became convinced that they were badly treated and ended up summoning the Department of Labour Inspection. The Labour Inspectorate that could only dream of such working conditions and wages, asked me if they were mad. For his part, the producer vowed that he would never employ animators again. It is a real pity because I was ready to kill myself for this job and direct film after film. I can see that, in a certain way, Gédéon was an anticipation of Kirikou. You see his birth, the story happens in the countryside surrounded by beautiful vegetation, and Gédéon keeps rescuing his friends, thanks to his clever tricks. He only needed to ask why the wicked are wicked to become Kirikou. But the wonderful equipment in Neuilly was dismantled and I did not get close to such studio again for a long while: it was 25 years before I shot Kirikou. This series is not available anymore.